The 2000 American Silver Eagle Coins would be the final year in a run in which both the proof and the bullion versions of the coin would show improvements over the sales of the previous year. Of note for the year, the 2000 Proof Eagles would be the last year in which the coins were struck at the US Mint’s facility in Philadelphia. Subsequent years would find the coins struck at the Mint’s facility in West Point. The Mint also created a special set for the year 2000 which included a West Point struck bullion Silver Eagle, a Denver-minted Sacagawea Dollar and a 1999 series one-dollar bill with a serial number beginning with 2000. The set was known as the "United States Millennium Coinage and Currency Set." Bullion Eagle mintage for the year showed an impressive increase and ended up at 9,239,132, a rise of 1,830,492. It marked the highest mintage for the strikes since 1987 – the first full year in which the bullion eagles were available. 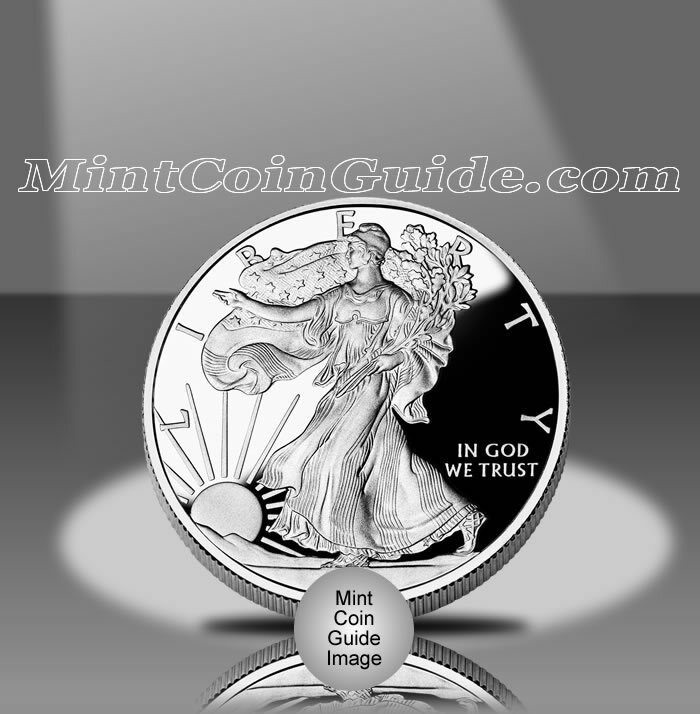 Proof Silver Eagles were in their third year of annual increases and totaled 600,000 sold, hitting their mintage cap. This was a jump of 50,204 from the previous year or up 9.1%. The 2000 dated Eagles marked the fifteenth year in which the US Mint produced the strikes. Bullion Silver Eagles were available for a majority of the year with the Proof Eagles being released on May 15, 2000. Proof Silver Eagles sold for $24 directly from the Mint. Bullion Eagles were available from the Mint’s network of authorized purchasers for a small premium above the spot price of the silver contained within them. Bullion Eagles were struck at the Mint’s facilities in Philadelphia and West Point, but contained no mintmark. Proof Silver Eagles showed a ‘P’ mintmark and were struck at the Mint’s facility in Philadelphia. A design first seen on the 1916-1947 half dollar known as "Walking Liberty" is featured on the obverse (heads side) of the Silver Eagle. It was designed by Adolph A Weinman. The reverse (tails side) shows a heraldic eagle and was designed by John Mercanti.